When I was a child the whole family would sit down of an evening and eat their tea together around a table. I can remember watching TV programmes from America where they sat in front of the TV and ate their meal from a tray. Balancing the tray on their laps while watching the TV; the TV dinner. Oh how I wanted that to catch on but never dreamed it would. Well I think it has, and I also think we have rethought our room layouts. 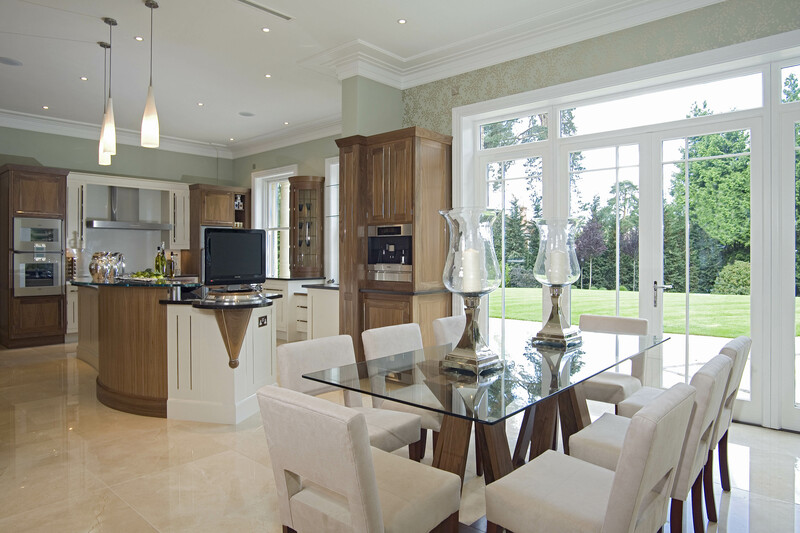 Now the kitchen is the true hub of the home. 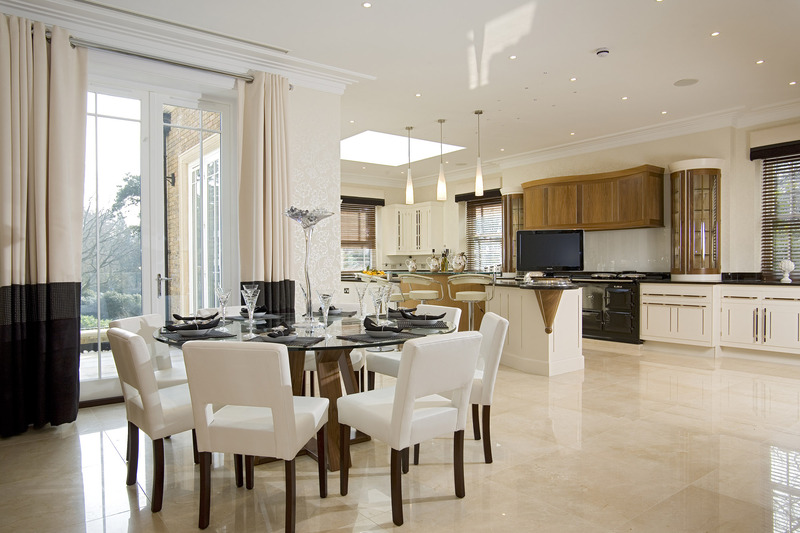 And has been enlarged and made open plan to incorporate the dining table and chairs, a sofa and the TV. 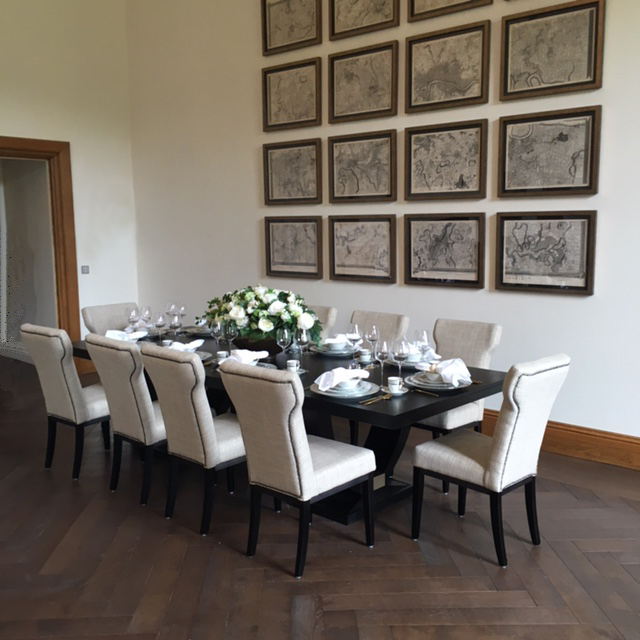 But for some there is still a dining room, not used on a daily basis anymore but used for more formal entertaining. With the economic downturn I think we are doing much more entertaining and socializing at home. And when there is a social event, food is always part of the narrative. Meeting up with friends in a home environment with good food has to be one of the most pleasurable activities under the sun. So it is important that the setting is pleasant, the table is sturdy and the chairs are comfortable. 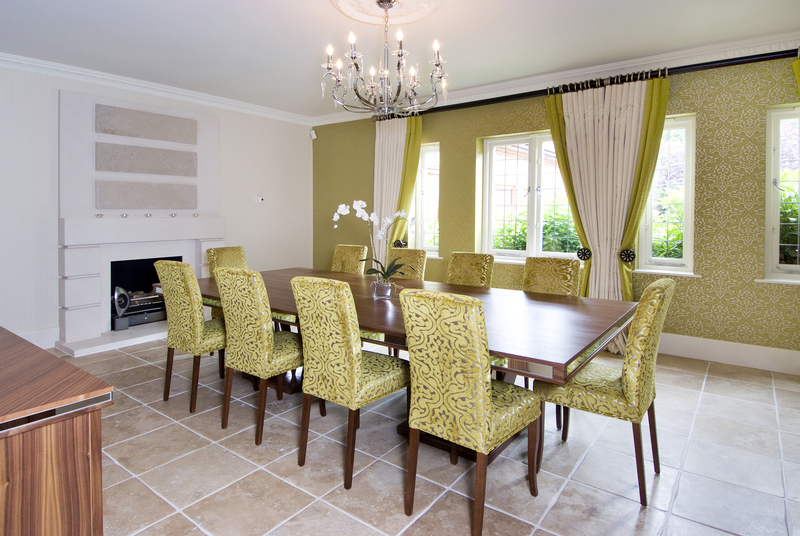 Our dining chairs have to be the most comfortable chairs made in the current market place at the moment. And that is because we would not design and make anything we would not have in our own home. How would you like to dine? We use traditional upholstery methods and design the chair to be ergonomically correct. We have designed chairs to suit the tall and the short. No-one wants their legs swinging in the breeze and equally if you are tall you need a certain depth of seat. Nick is just shy of 6’5” and I am only 5’7”. We really do stress test our chairs before they get added to our dining chair collections. 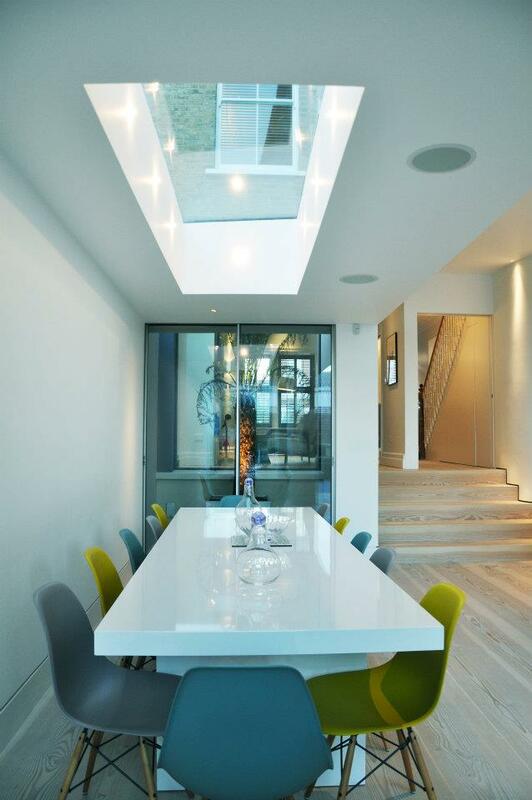 Dining Tables come in a whole variety of shapes and sizes. 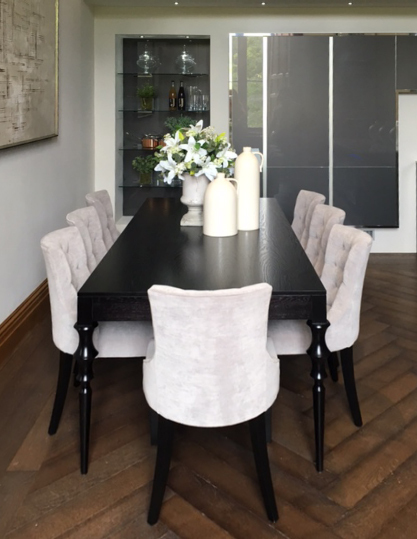 The benefit of being a bespoke makers is we can make a table to any size, with any finish, and any design. 10 -14 seat tables are common for us but hard to find on the high street. 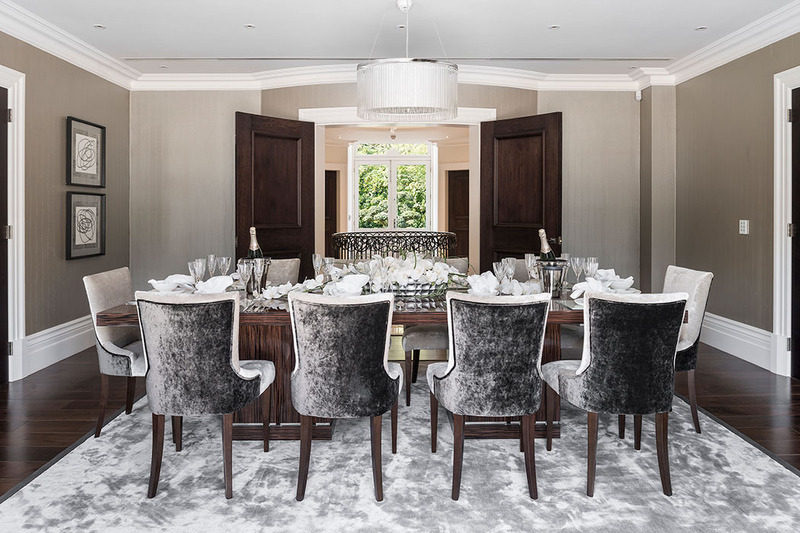 A good dining table is the show piece to any dining room and the incorporation of different materials can really enhance the design. We work with timber and glass and metal. 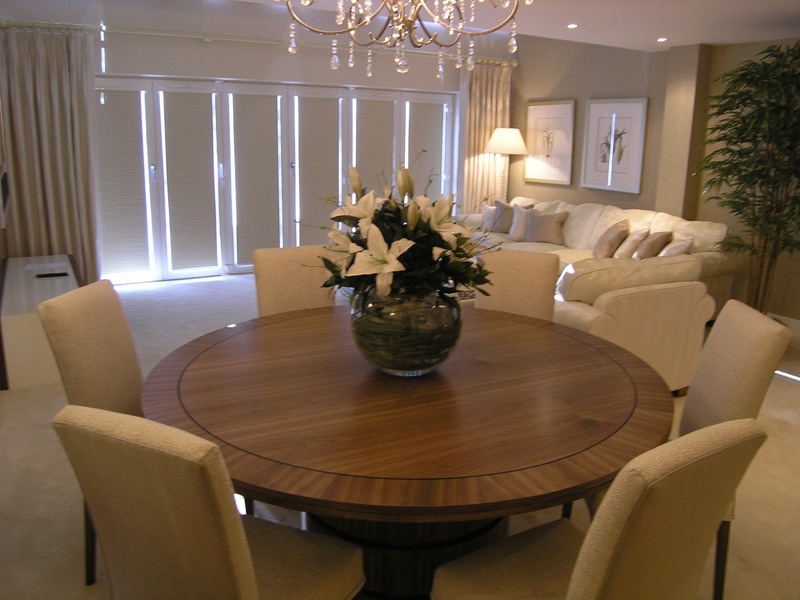 If you want an extending dining table with additional panels, we will make you one with a metal finish on a wood frame. We have never offered extending dining tables before. This is because the wooden panels would not be the same colour as the rest of the table. Light affects timber with UV and the wood will change colour. By applying a metal finish the wood the table will look good with or without the extension panels inserted. Over the years we made some truly beautiful tables and we look forward to making one for you.